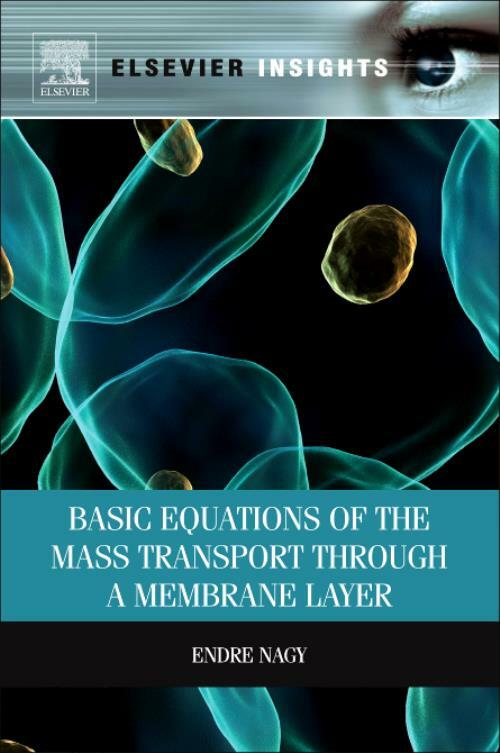 With a detailed analysis of the mass transport through membrane layers and its effect on different separation processes, this book provides a comprehensive look at the theoretical and practical aspects of membrane transport properties and functions. Basic equations for every membrane are provided to predict the mass transfer rate, the concentration distribution, the convective velocity, the separation efficiency, and the effect of chemical or biochemical reaction taking into account the heterogeneity of the membrane layer to help better understand the mechanisms of the separation processes. The reader will be able to describe membrane separation processes and the membrane reactors as well as choose the most suitable membrane structure for separation and for membrane reactor. Containing detailed discussion of the latest results in transport processes and separation processes, this book is essential for chemistry students and practitioners of chemical engineering and process engineering. Endre Nagy is Scientific Adviser at the Research Institute of Biomolecular and Chemical Engineering, University of Pannonia, Hungary. His key research areas are membranes and membranes kinetics, and catalysis and biocatalysis related to the design of biocatalytic membrane systems. Emeritus Professor Nagy has contributed to almost 260 publications, 170 lectures at international conferences, and four patents.